It doesn’t matter how productive or efficient an engineering team is, there are still times when catching up becomes difficult. Check out the following tools designed to help software development teams make the most of agile methodologies. It doesn’t matter how productive or efficient an engineering team is, there are still times when catching up becomes difficult. There could be several things that could zap your team’s energy and make them drag their feet to meet the deadlines rather than sprinting through—perhaps you’re still using email to track bugs or Spreadsheets to track project updates. As software development teams embrace the principles of agility, the traditional means of getting things done don’t feel like enough. So, if you too want to get more done, try the following tools designed to help software development teams make the most of agile methodologies. JIRA Software covers every development team’s planning, tracking, releasing, and reporting tasks. It’s an all-in-one agile development tool that integrates with several other collaboration tools like Hipchat, Bitbucket, and more to keep the development process management to a single dashboard. 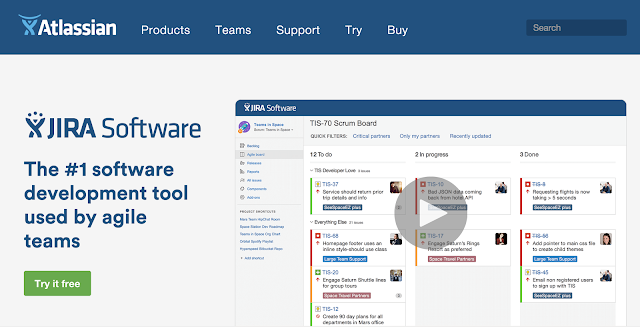 JIRA’s Scrum boards feature allows teams to work on incremental processes, while its Kanban boards feature lets teams view a visual flow of how the development tasks have been planned and are under processing. JIRA offers tight integration with lots of development tools, bringing everything together for a seamless development experience. And, advanced filters allow you to retrieve the exact information that you’re looking for across different projects. Companies like Linkedin and Cisco trust JIRA for their software development. VersionOne is an advanced enterprise-level agile development management tool. It supports the Scaled Agile Framework (SAFe), a popular framework that supports lean and agile enterprise-level development practices. Built in line with the SAFe, VersionOne supports three levels of scale: Portfolio, Program, and Team. At each scale, VersionOne ensures that the team members have access to all the information they need while maintaining transparency across the entire development cycle. VersionOne integrates with more than 70 tools/services to streamline your development process. If you’d like, you’re free to build your own integrations as well. Whirlpool, McAfee, and Siemens are among some top enterprises that trust VersionOne. Pivotal Tracker is a powerful, collaborative project management tool for software development teams. It takes care of everything from project communication to streamlining the development process with to-dos. Prioritize: In Pivotal tracker, all the tasks that lead to a milestone are termed as a story. So, you’ve to begin by defining several small stories and set a priority to each of them. The order represents the priority. You can reorder your stories in case their priorities change. Deliver: In the deliver phase, you’re done with a story and are ready to pick the next story on the top of your list. Accept: The accept phase is your traditional review phase—you need to make any revisions needed in the delivered story. A feature that you might especially like about the Pivotal Tracker is its ability to estimate the time required to reach your set milestones. So, if you happen to over-evaluate your capabilities (or capacity), Pivotal Tracker might just check you! Everyone onboard has access to all that’s happening across the team so you can expect development to be super-streamlined and agile. Pivotal Tracker integrates with more than 125 apps. TargetProcess is a visual project management software. It supports Scrum, Kanban, and even custom development approaches. In TargetProcess, everything is visual: boards, lists, timelines, and even the reports. Basically, you can create boards to handle different parts of your development cycle. TargetProcess supports drag-and-drop, so you’re free to rearrange the elements on your board in case there are any changes. The boards are shareable, so you can invite people to them as you need. You can also choose between different views: teams, projects, persons, business values, and others. For information that’s easier to interpret when offered as a list, TargetProcess shows them as lists — for e.g., information like project hierarchy. With its powerful suite of reports, TargetProcess lets you analyze several metrics (and thereby find several insights) like feature effort, the number of bugs closed, the most productive team, and so on. TargetProcess has mobile and tablet apps so you’re productive even when on the go. Yodiz is an advanced agile management platform that offers multi-level views of data. It also offers a great Scrumban-style board that combines the power of the Scrum methodology with the simplicity of Kanban. Yodiz has an extensive list of features including: advanced annotations, to do lists, sprint boards, real-time reporting (notifications), group and one-to-one chats, scrum and kanban boards, and many more. Besides, Yodiz also offers a user-level timesheet that shows what a team member has worked on and when he or she picked up that task. With apps for iOS and Android, you can stay on top of your development team’s progress even when you don’t have access to your laptop. Clients of Yodiz include the likes of Nokia and Motorola. Axosoft is a high-quality collaborative tool for development teams. It brings together sophisticated planning boards and intelligent features like estimating the release capacity, keeping your team safe from the risk of a complete burnout. Axosoft supports Scrum, Kanban, and hybrid development methodologies. It also lets you access your helpdesk and handle tickets giving manual or automated responses as required. Further, it allows users to report bugs and incidents (and also request features). With custom dashboards, you have the option to view only the information that you need by applying advanced filters. Active Collab is a collaborative project management tool. It helps a team stay organized by offering task management, collaboration, tracking, and invoicing features. With Active Collab, each team member has his or her own dashboard that has all the work assigned to that team member. Members can see and plan their work according to the status of their dashboard. Active Collab sports Gnatt-like timelines and supports the Kanban workflow method. Apple, Adobe, and BBC are some proud clients of Active Collab. Telerik TeamPulse is a popular agile development management tool that supports Scrum, Kanban, and hybrid development methodologies. Its other features include tracking and billing, measuring performance, bug management, scheduling, and many more. A feature that really stands out for Telerik TeamPulse is its Best Practice Analyzer (BPA). The BPA identifies and reports your project elements that don’t conform to agile development best practices. This feature can give you meaningful insights to bring your software development right on track in case you happen to go wrong. Also, its Ideas and Feedback portal enables your customers to submit feature requests, report bugs, send feedback, and ideas. If you look at most of the options in this list, you’ll see that Telerik TeamPulse is easily one of the most-rounded alternatives for managing your agile software development. Telerik TeamPulse integrates with several third-party tools and services to provide you a transparent, traceable, and seamless development environment. WhiteSource is an agile software open source management tool. As more and more companies are opening up to open source, the need for managing and reporting open source components is also rising. After all, the only thing that the open source community really expects from its adopters is that the people who adopt open source, do so responsibly. WhiteSource helps open source adopters do this. Essentially, WhiteSource adapts to and becomes a part of any software development life cycle and constantly works in the background to ensure that you’re using the latest, safest open source components whose licenses comply with your licensing policies. WhiteSource integrates with most of the popular development languages and platforms to manage your open source usage centrally (without requiring you to buy separate addons for different technologies). Other notable features include advanced reporting, real-time alerts about security vulnerabilities and patches, enterprise-level open source policy enforcement. So, these are nine of the top tools for software development teams. I hope these tools skyrocket your productivity and help you write clean code better and faster. 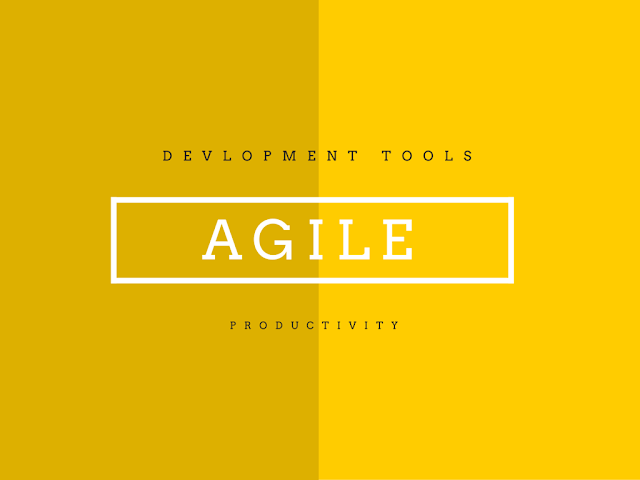 What is your favorite tool for supporting your agile software development cycle?